Home > Trouble swallowing tablets. 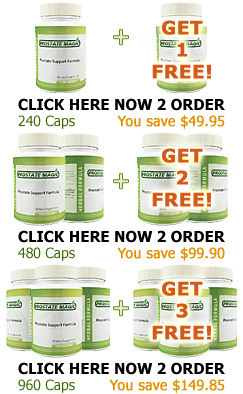 I got a call today from a customer who was not happy that my product was in tablet form as opposed to capsule form. I used to make Prostate Magic in capsule form, but you can pack more punch into tablets. The customer’s main issue was that he doesn’t like to swallow stuff and instead dumps the contents of capsules into his drinks. I suggested throwing my tablets into a blender or placing them into your mouth so they become sublingual and go into your bloodstream directly, by-passing the digestive tract – much like a sublingual B12 supplement does. I understand his situation because I also don’t like swallowing large tablets and prefer capsules and softgels. Luckily, Prostate Magic tablets are not that large. I am always amazed at how some people can throw down several tablets at once. It’s pretty incredible, actually. I am a huge fan of alternative thinking, with my view being that even if I don’t agree with what the researcher says, at least he expanded my mind. The more viewpoints you have, the easier it is to triangulate in on the truth. It’s one of the ways the Buddha taught in the Diamond Sutra.